As much as we are aware of these qualities, so are we mindful of the roles we should play to assist you to actualize your aspirations. On our part, we shall not relent in our efforts to provide and improve on the existing facilities to ensure a conducive environment for teaching and learning. As undergraduates, you are no longer under the prying eyes of your parents, but take caution, watch the friends you keep, beware of unsolicited assistance and do not compromise your stand. You are bound to come across people of diverse culture, race, religion and social class, and you are expected to relate with them as nicely as possible. As future leaders, you must learn to accommodate this diversity as much as possible for peaceful co-existence. This University has a proven track record of academic excellence, a trusted, and tested solid reputation for the quality of her graduates over the years. You are earnestly advised to jealously guard and maintain the culture. I also urge you to get involved in positive student activities that would enable the University to pass through you, so that at the end of your academic career you would have evolved into a rounded personality that is worthy in character and learning and with a better perception of life’s values. Please bear in mind that success in a race is not determined at the starting point but at the end, which will hopefully be in another three years (in case of Direct Entry Students) four, five or six years’ time depending on the courses of study for undergraduate programmes and two or four years for postgraduate programmes. I will now reiterate what matriculating students have been consistently told over the couple of years and thus, reinforce what you have been told about cultism, during your orientation programme. Cultism is evil and those who associate themselves with it are evil. You must therefore, as of necessity, be wary of the association you keep. You must be careful in honouring invitations to social or religious gatherings of doubtful identify/character or before you register as a member of a group with cloudy orientation. Female students should avoid walking alone in isolated areas, especially at night. You should all be security conscious at all times, and report immediately, any matter which may require immediate security attention. The cultists camouflage in different colours to recruit members. You should be security conscious at all times and if you have any inclination that you are being lured, harassed or threatened, do not hesitate to report to the University Administration through my office, the Dean of students, Hall Masters/Mistresses and Wardens, HODs or Deans of your Faculties as well as Security Unit. The Chairman, Directorate of Social Orientation (CENSO) is also available in this regard. Please feel free to approach me or any other members of the University Administration for counselling and assistance. Students are urged to shun cultism, violence and criminal conducts which are inimical to the development of society. Drug abuse and its attendant consequences among young people is a global phenomenon. Nigerian youths are not an exception. The use of prescription only drugs has been reported to have reached an epidemic proportion in some parts of the country. While drug use itself is not new and could range from socially acceptable drugs to illicit drugs, current trends of use of a bouquet of drugs by an individual and earlier age of onset of use calls for concern. Years past, the common drugs used by young people were Alcohol and Tobacco (cigarette) with occasional reports of the use of Canabis (Igbo) by eccentric individuals. Nowadays, alcohol and cigarette have maintained their place in order of use, more disturbingly is the uptake of new drugs by the young population. These seemingly “clean drugs” have effects that are as devastating, perhaps more devastating than the old drugs. I am certain you know more about the new “clean” drugs more than I do, however for the records I will mention a few: Codeine in cough syrup, Tramadol, Rohypnol, Ecstacy (a form of Methamphetamine) and various grades and mixtures of cannabis (skunk, Colorado, Arizona and Skoochie). The dangers associated with the use of these drugs are numerous. Academic performance suffers greatly from the use of these drugs and graduating with a decent grade may be incompatible with regular drug use. A student might find himself or herself sleeping through lecture periods while under the influence of the drugs or unable to report for examinations as well. These drugs have direct toxic effect on the brain causing reversible (sometimes irreversible) damages to the brain which may manifest as Seizures in a previously non epileptic young person. The assault on the brain may also cause a young person to become suddenly psychotic manifesting by seeing and talking to unseen people and behaving abnormally. Other organs of the body also take a hit from the drugs especially the liver and kidney. Sudden death from respiratory depression in overdose is not uncommon while accidents while under the influence may cause death indirectly. I pray that we will not lose anyone of you to death in the course of your sojourn on this campus. In view of the above I will strongly advise that you avoid the use of any these drugs by all possible means. In the event that you feel unwell for any reason, please visit the University Clinic as some individuals have been unwittingly recruited by friends/peers who offer them such drugs for the treatment of pain or headaches. For those who may have started, I will advise you quit as soon as possible. I will encourage you to approach our trained personnel (Nurses, Doctors and Social workers) and other counsellors at the University Health Services to help you achieve abstinence and set you on the path of recovery. The Youth Friendly Centre may also be visited to discuss any issue you may be going through that may negatively impact on your academic performance. Data from the University Health Service indicate that in the past four years the Wednesday (Mental Health) clinic has 174 registered students who are seen on monthly basis with 16 of them being substance ( drug) abuse related. Some of these 16 students have ceased to be students due to expulsion; poor academic performance or misconduct. Currently, four are being supported by the university on a drug treatment plan. Drug related problems hurt the individual and the people around them ruining health, relationships, finances and properties. Unfortunately, in a worst case scenario a death was recorded last year in this university when a 17-year old female student died a drug related incident as indicated from postmortem and toxicology findings. The university in collaboration with other organizations including the National Drug Law Enforcement Agency (NDLEA) has put in place a programme to assist students with substance abuse issues. Dr Victor Makanjola, a Senior Lecturer and Consultant Psychiarist in our College of Medicine currently working with other stakeholders in the University to evolve a drug policy for our institution. It is my hope that we will evolve a model that does NOT exclude young persons who may have stumbled from University Education as is the current practice in some private Universities. This effort is spearheaded by the Director of the University Health Service, Dr. Olufemi Akingbola. Dr Makanjola will be training the staff at Jaja next week on counselling and motivating young people to quit drug use while providing back up to them for more difficult cases through our existing referral system. Acknowledging and confronting a problem is always a better approach than driving it underground by criminalising it or enacting punitive measures already proven to be ineffective. There are many billboards boldly placed at strategic locations on the Campus, warning you to ‘Say No to drugs’ and ‘Say No to Cultism’. I often wonder aloud about what you should say yes. In the next few weeks, we shall erect new billboards to indicate these positive attributes. A consideration of this largely informed the decision of the University six years ago to include a Matriculation Lecture as part of the induction of mew students into this academic community. 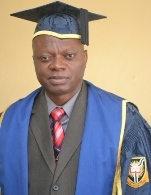 The Matriculation Lecturer for this year is no less a person than a 1981 Alumnus who is currently the Chief Executive of Stanbic IBTC Bank PLC, Dr Biodun Sogunle. As you will be duly informed in a short while by the University Orator, he read Agronomy at this university and through a dint of hard work, focus and perseverance he has reached the top. To ease the problem of accommodation of students on campus, Management has adopted the Public-Private Partnerships (PPP) initiative on a Build, Operate and Transfer (BOT) arrangement. While some companies are being expected to commence building, one of such projects was commissioned recently. It has three hundred and twenty eight bed spaces. This female hostel by C.M.F. Angels Gardens Limited is within the new Students’ Village, near Obafemi Awolowo Hall.